A large gold treble clef backed by a staff and music notes appears to be flying off the surface of this ½” thick diamond resin plate for a 3-D look. It comes with a metal peg that can be screwed into the back for a free-standing award, a ferrule on the bottom to mount to a base or trophy, or you can leave the peg off and mount the diamond to a plaque for 3 entirely different applications. However you chose, just add a personalized plate for a unique award. 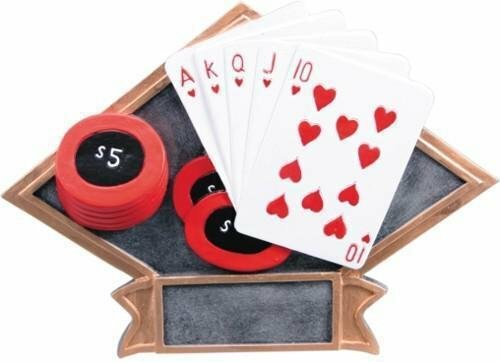 A full color poker hand and chips stand off the surface of this ½” thick diamond resin plate for a 3-D look. It comes with a metal peg that can be screwed into the back for a free-standing award, a ferrule on the bottom to mount to a base or trophy, or you can leave the peg off and mount the diamond to a plaque for 3 entirely different applications. 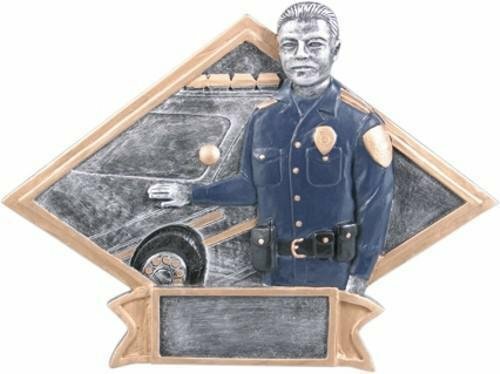 However you chose, just add a personalized plate for a unique award.